As the government plans to go tough against militant financing, country's apex trade body and top bankers have given assurances of backing the move to unearth bank accounts and businesses involved in militant transactions for legal actions. 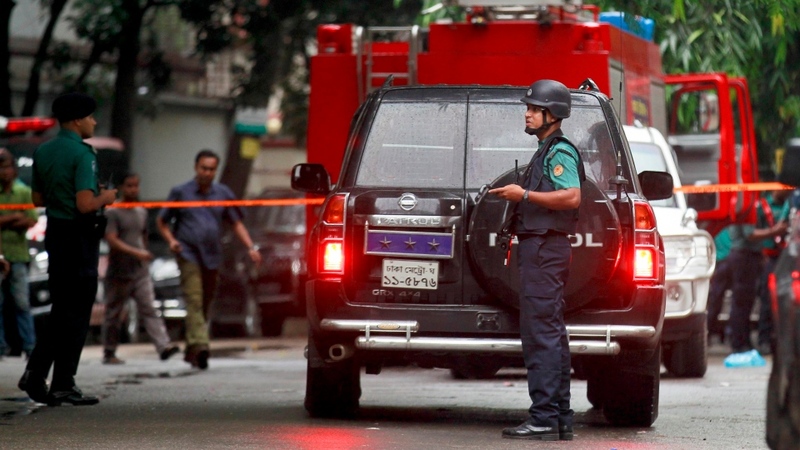 "We will provide the government with full support in identifying the bank accounts, if they are used in financing militant activities in the country," said Anis A Khan, Chairman of Association of Bankers, Bangladesh (ABB). Talking to BSS, the top banker said standing beside the government and backing its move to root out militant financing are essential for the safety and security of all including the banking sector. When his attention was drawn to Bangladesh Bank's (BB) move to collect account information of 18 persons, Khan, managing director of Mutual Trust Bank, said the banks concerned are bound to abide by the BB's instruction because it is the regulatory authority of all banks. "Bank accounts having suspicious transactions should be frozen to resist any illegal money flow, including militant financing," said President of the Federation of Bangladesh Chambers of Commerce and Industry (FBCCI) Abdul Matlub Ahmed. About media reports on involvement of some people, including businesspersons, in militant financing by using bank accounts, Ahmed said suspected accounts of anyone including businessman, politician or student, should be frozen for taking stern legal actions. Additional managing director of Uttara Bank Mosharraf Hossain said his bank has taken steps as per the instruction of the central bank. "As a banker we are conscious about this issue and our department concerned is working on it," Hossain told BSS. He said it is also the responsibility of all banks to remain alert so that none can use the banking channel to finance militancy or any other illegal activities. Security is the topmost priority of Prime Minister Sheikh Hasina and she has already declared that no compromise will be made with security of the people and the country, he said. Recently, BB has sought bank information on 18 people whose names have come up in the media in connection with militancy links and terror financing. After a meeting of the central bank's financial intelligence unit, letters have been forwarded to all scheduled banks specifying three directives. The banks have been asked to freeze their accounts immediately, provide account information and produce transaction history of their accounts. Central bank's move came after a spate of terrorist attacks in July. As the militancy issue is currently the top priority of the government, the law enforcement forces have been asked to take stern measures against militants.